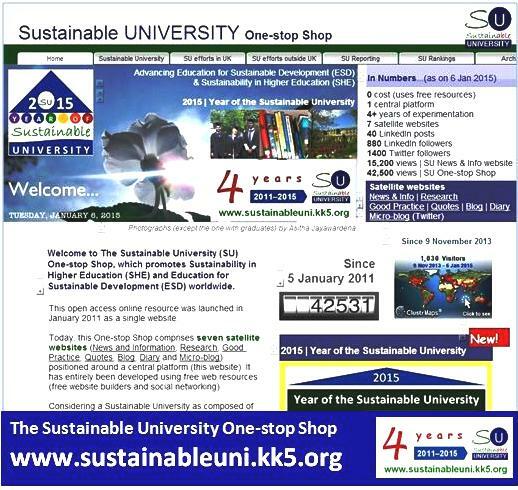 The Sustainable University One-stop Shop (SUOSS) experiment (http://www.sustainableuni.kk5.org) celebrated its fourth anniversary on 5 January 2015. This unfunded, zero-cost, self-driven experiment advances Sustainability in Higher Education and Education for Sustainable Development (ESD) worldwide. In the last four years, the SUOSS has achieved 42,500 visits. 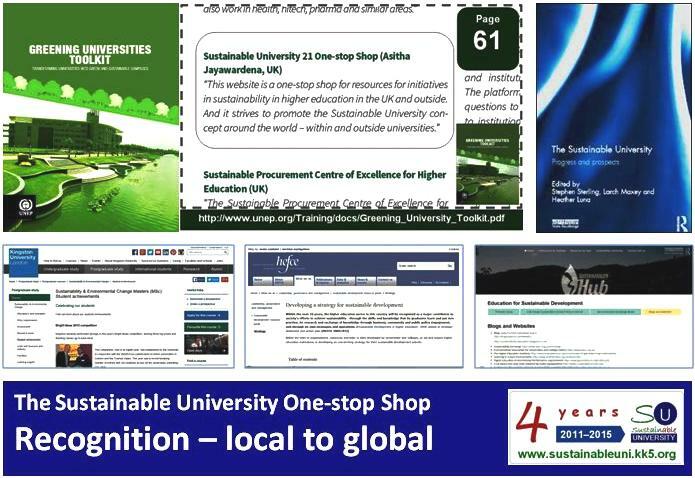 The Sustainable University (SU) News website, one of its satellites, has particularly shown a strong global appeal in the past year, registering nearly 6,000 visits from over 130 countries (as shown on the ClustrMap on the side bar of https://sunewsinfo.wordpress.com/). Asitha’s Klout score, which reflects his online influence, remains around 50 (http://klout.com/sustainableuni1). Note: Planetshire University (PU) is a hypothetical UK university. 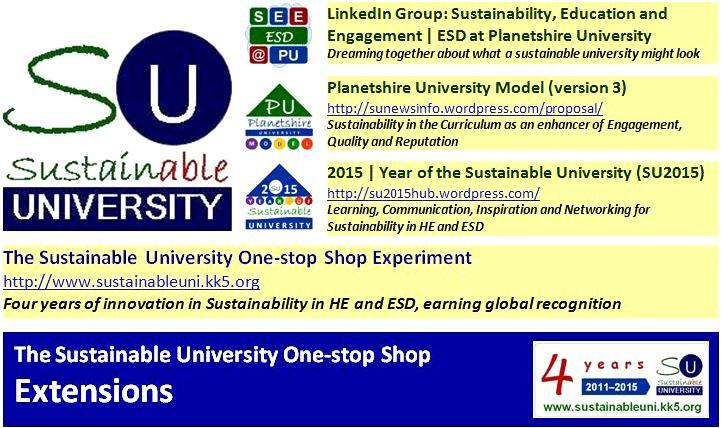 Moreover, since April 2014, he has published 40 LinkedIn posts on ESD and Sustainability in Higher Education https://www.linkedin.com/today/posts/asithaj. With four years of experience, self-learning and networking, Asitha seeks a host university for his Planetshire University model, which proposes to use sustainability in the curriculum as an opportunity for enhancing stakeholder engagement, quality of course programmes and institutional reputation. If you are interested in this experiment or the PU Model, please feel free to contact him on asitha_jayawardena@yahoo.com, Twitter (http://twitter.com/#!/sustainableuni1 @sustainableuni1) or LinkedIn (http://uk.linkedin.com/in/asithaj/).